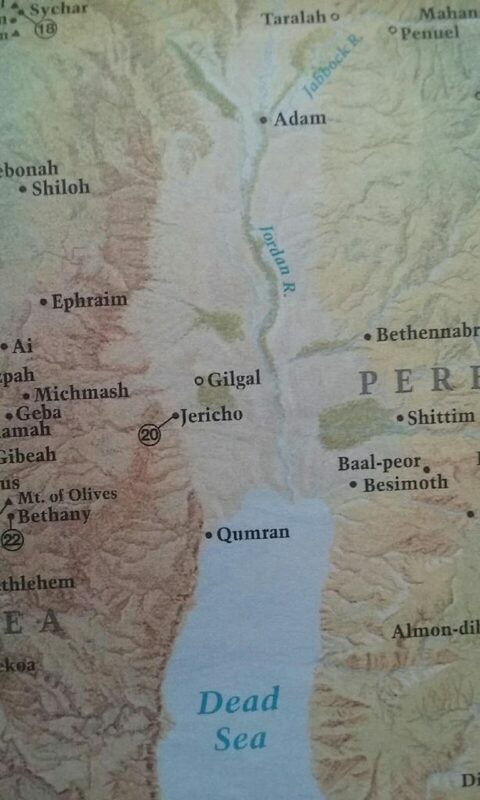 Before the conquest of Jericho come the events described in chapter 5. Compare and contrast the position and attitude of the people here with that of their fathers in Num. 14:1-10. Which group reflects your own attitude? Work out the order of events, as the people entered the Promised Land. Note the parts played by God and by the people. What principles for progress in the Christian life are illustrated here? Map: Click on the map to see the 40kms from Adam to the Arabah (the dead sea. How does the story in this chapter justify the statement in Heb. 11:31? Compare Rahab’s words with the actual position of the Israelites at the time, and note especially verse 11. Observe how Rahab’s faith kindled the faith of the spies. What stimulus does this give us in life of faith? What parallel is suggested to you by the house protected by the scarlet thread? With verses 19, cf. Exod.12:22.